Boasting a savory chicken strip these 6" twist-shaped dog chews are guaranteed to get your dog's tail waggin' with eager anticipation. 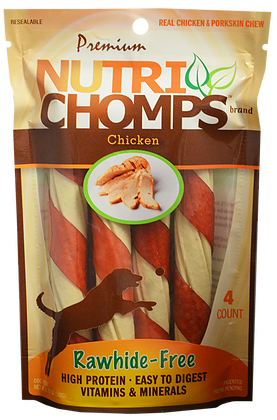 Nutri Chomps Twists are perfect for dogs that weigh between 30-50 lbs. 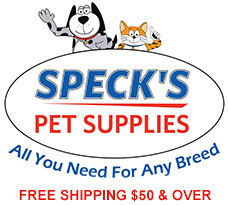 This 4-count package is 100% Rawhide Free, made with Real Chicken & Pork Skin and Vitamin & Mineral Enriched.